For the special ones in our lives and every mom/dad/family member/friend & social worker that help make their lives great. 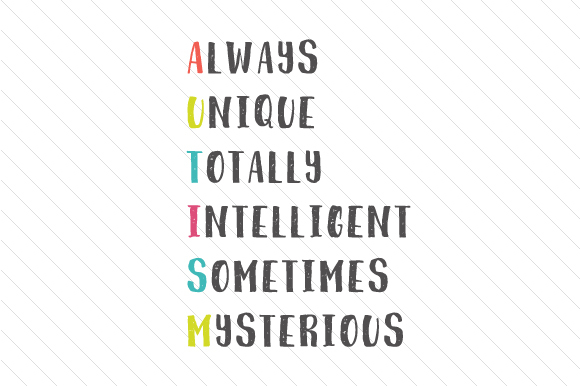 Unique, intelligent, mysterious – if that’s the message you’d like to send to autistic persons and to all your friends, relatives, or the family workers that you know are taking care of people with autism, this motivational quote is for you and all of them. Create beautiful, moving crafts themed around special needs and autism with this powerful inspirational quote.